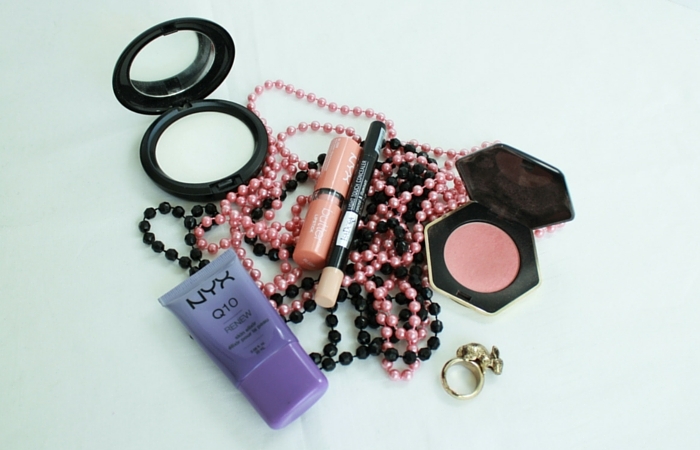 Next to blogging and clothes, makeup is one of my absolute favorite things to talk about. And while I have written quite a few posts about it before I still feel that I don’t really write about it as much as I want to, therefore I thought that today would be a good day to show you my makeup essentials. So yeah, let’s get going. Primer: Not necessarily this one from Nyx Cosmetics, but I really have to apply some primer before adding the rest of my makeup. I just love how it feels on my face and it’s almost like a little ritual that instantly make me feel more ready to face the day. 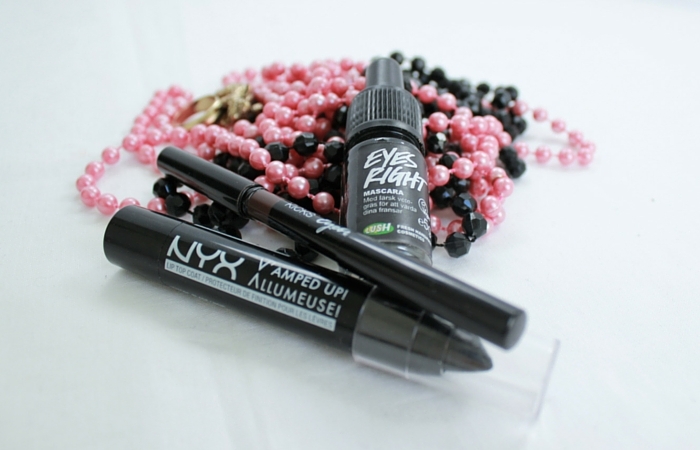 Concealer: At the moment I’m using two things to hide the dark circles under my eyes. First thing is this Butter Lipstick from Nyx in the color Bit Of Honey, it has an orange shade so hides my dark circles pretty well. On top of that I use a regular concealer to even out the color a bit and make it look more like my skin. Powder: I really love this transparent Prep+Prime from Mac cosmetics and I don’t even plan to try another one anytime soon. It’s just amazing and even out my skin tone a bit and make it look less yellow-ish. Blush: My blush is from H&M and it’s the color Cantaloupe and I think it’s a good one and it does what it should. Mascara: Eyes Right from Lush. I have pretty long eyelashes so this one works fine for me, but I also want to buy one that makes them even longer for days when I want more focus on the eyes. Eyebrow pencil: Doing my makeup means I have to draw on some eyebrows, because my real ones are really light and thin and don’t like how I look without eyebrows. I actually had some trouble making this list since I had some more items I wanted to include. But since an item don’t become a makeup essential just because I really, really like it some things just didn’t make the cut. But I will probably find a reason to write about them another day. Over to you: Tell me about one makeup product you just can’t be without. ← Are You Spreading The Blogging Love?